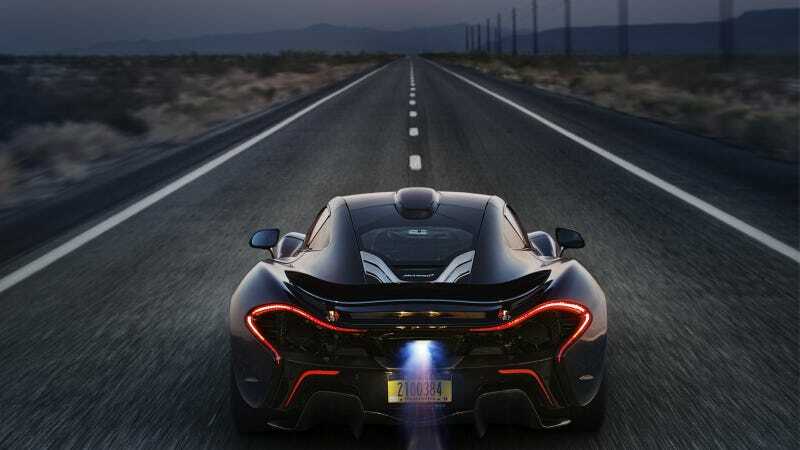 The first deliveries of the Ferrari-murdering hybrid McLaren P1 are set to happen soon, so engineers just conducted thorough testing in Arizona, California and Nevada. Luckily for us, they brought cameras along. McLaren says their new hypercar was subjected to real-world heat tests as it blasted through the desert on days when temperatures topped 126 degrees. The best part is how sinister the black, spaceship-like P1 looks set against the backdrop of the gorgeous Southwest. Here are the photos in giganto-desktop sizes. Enjoy.